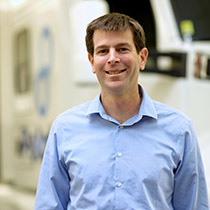 Peloton is a hands-on team of innovators leading the automated vehicle revolution by bringing groundbreaking safety, efficiency and data intelligence to the trucking industry. Josh has been working on systems to make driving safer and more efficient for the last 13 years. 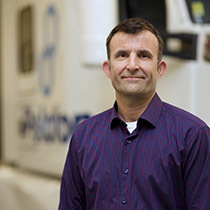 After his work at Stanford University on a variety of vehicle control systems, including guaranteeing safety for lanekeeping assistance and steering wheel haptic feedback, Josh developed production control systems for Volkswagen, Audi, and Tula Technology. Josh is also an avid (but amateur) race car driver, cyclist, and marathon runner, and is improving his commercial vehicle driving every day. Josh holds a Ph.D. from Stanford University in Mechanical Engineering. Antonio has worked in finance for over 20 years. Most recently he was the CFO of Merchant Atlas, a venture-backed start-up that pioneered sales automation with machine learning and curated data-at-scale (acquired in 2016). He has also held various institutional banking, capital markets, equity research, and private equity roles both in the US and Asia at Franklin Templeton, BlackRock, Lehman Brothers, and Brown Brothers Harriman. 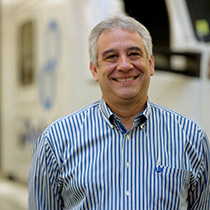 Antonio holds an MBA from the University of California at Berkeley’s Walter A. Haas School of Business and received his undergraduate degree from Villanova University. He is also an advisor to students and alumni at UC Berkeley’s SkyDeck technology start-up incubator. 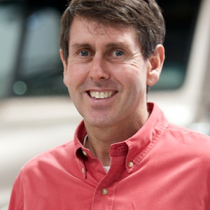 Dave Lyons has led the development of some of the world’s most advanced products and systems. As employee number 12 and Director of Engineering, he led the development of the powertrain for the Tesla Roadster and was the initial lead of the Tesla Model S. Throughout the 90’s Dave was studio head at IDEO, the world-renowned design firm. Dave has also led engineering for a truck APU maker. Dave holds a BSME from MIT and an MSME and MBA from Stanford University. Steve has built and managed organizations and initiatives in the private and public sectors for more than 20 years. He has served as an Assistant Press Secretary in the White House, a Producer at the PBS NewsHour, and in a range of roles in the technology sector, national political campaigns, and federal agencies. 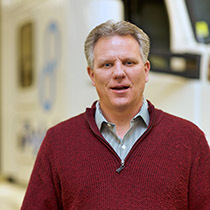 Steve was a co-founder of the Clean Economy Network (now merged with the Advanced Energy Economy association) and is an active member of the Transportation Research Board, Society of Automotive Engineers, American Trucking Association, and the Commercial Vehicle Safety Alliance. Steve holds a Biology/Environmental Science degree from Pennsylvania State University with minors in Economics and Political Science and studied International Business and Finance at the University of Manchester (UK). Oliver has over 25 years experience designing user interfaces for digital and physical products. An expert in user-centered design, Oliver focuses attention on the driver to inform design, engineering, and other functions at Peloton. Prior to joining Peloton, Oliver was the Head of User Experience Design at automotive head-up display maker Navdy. He has also held positions at IDEO and Yahoo!, and has operated his own design firm for 10 years serving clients including Sonos, Logitech, Dreamworks, HP, and Plantronics. Oliver holds numerous patents on innovative design concepts and UI technologies and previously taught Interactive & Interface Design at San Jose State University. Greg is an accomplished manufacturing professional with more than 25 years of high-tech networking, telecommunications, computing, and storage industry experience. His strategic and business expertise has focused on manufacturing operations, supply chain, new product introduction, operations engineering, and quality. Greg has worked at several early-stage startups, including Cosine Communication where in 2001 he was part of the management team that led the company to its Nasdaq IPO. 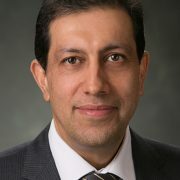 He has also held leadership positions at PMC Sierra, Infoblox, Juniper Networks and Silicon Graphics Computer Systems. 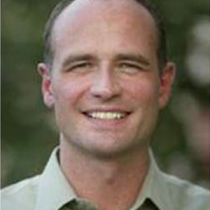 Greg holds a Bachelor of Science in Industrial Technology and a minor in Business Administration from California State University – San Jose. 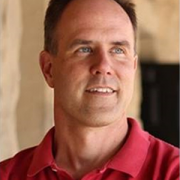 Rod has over 20 years in high tech marketing across both Fortune 500 companies and start-ups. His background and expertise spans across various marketing disciplines including marketing strategy, product launch, corporate communications, demand generation, and channel marketing. Prior to joining Peloton, Rod led product marketing as Senior Director of Marketing at Ayla Networks, a leading IoT platform startup in the smart home space. 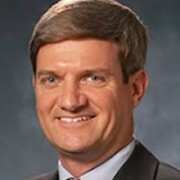 Prior to Ayla, he also held a marketing leadership positions at Echopass Corporation, a cloud-based enterprise software company that had a successful exit in 2013 after being acquired by Genesys. Rod has also held key marketing positions at Amdocs and BMC software. Rod holds a Bachelor of Science in Business Administration with a concentration in Marketing and a minor in Advertising from California State University-San Jose. 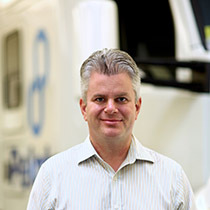 Mark brings to Peloton a depth of engineering management experience in new product development and product launch across a range of technologies in transportation, HVAC-R and flow control. Mark has over 30 years of system design and development experience with emphasis in control systems. As Chief Engineer over chassis control systems at TRW Automotive (ZF), he was involved in the design and development of ABS, Traction Control and Stability Control systems for the global market. He was also instrumental in new product design and developed controls for advanced products including by-wire systems, adaptive cruise control, active damping and roll control. As an Engineering Manager at Allied-Signal Aerospace (Honeywell), Mark was responsible for the design and development of cabin pressure control systems along with other flight critical controls. Mark also has manufacturing experience and launched a new HVAC component plant for DunAn Precision. 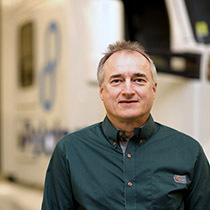 Mark holds a Bachelor of Science degree in Physics from the University of Waterloo with continuing studies in control systems at the University of Arizona. He now holds 16 patents. Mark has over 25 years of experience covering a wealth of broad technology areas, with multiple start-up firms from stealth to profitability. Prior to joining Peloton, Mark led engineering as Senior Vice President of Engineering for Nexsan, driving 3 global teams developing world class enterprise storage products including Block, NAS, Secure Archive/Offload and Enterprise File Sync and Share technologies. Prior to Nexsan, he served as Vice President of Engineering at Gridstore and led the engineering team to create Scale-Out, HyperConverged systems purpose-built for Microsoft Hyper-V. At Gridstore, Mark was also responsible for Operations and Customer Support. 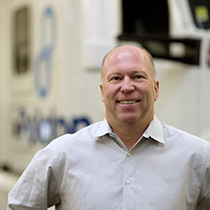 Before joining Gridstore, Mark served as the Senior Vice President of Engineering for Drobo where he led the software, firmware, hardware and quality teams responsible for successfully shipping over 400,000 systems to the consumer and SMB markets. Mark also held positions of Vice President of Systems Engineering at Cradle Technologies and Director of HW at Redback Networks. Mark holds a BSEE from the University of Illinois at Urbana-Champaign and an MS in Engineering Management from Santa Clara University. Dean is a self-motivated leader with over 30 years’ experience in the high-tech industry with an extensive background in managing the architecture, design, manufacturing release and customer support of complex systems. At Peloton Dean oversees the company’s hardware engineering and support teams, driving to a successful execution of its product roadmap. Prior to Peloton Dean held various senior management and leadership positions at fortune 500 and startup companies, including SK Hynix Memory systems, Violin Memory, Cisco Systems, Growth Networks, Silicon Graphics, and Amdahl Corporation. Outside of work Dean enjoys engaging in outdoor activities, doing home improvement projects and relaxing with family and friends. Dean holds a Bachelor of Science degree in Electrical Engineering. 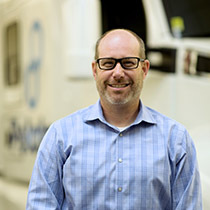 Shad Laws is the Vice President of Advanced Development at Peloton Technology. In this role, he leads Peloton’s government research projects as well as their developments toward increased automation. Prior to this role, he was the Autonomous Driving Lead at Renault in Silicon Valley, where he led Renault’s autonomous driving efforts in California, collaborating with academic labs, working with startups, and piloting their prototype vehicles. He has a background in engineering, design, startups, and software development. Shad completed his Ph.D. in Mechanical Engineering at Stanford University researching vehicle dynamics and control. For this work, he developed both theoretical simulations and full-scale prototypes, which he continued at LIVIC in France after graduation. Before this, he received an MS from Stanford University and a BS from Northwestern University, both in Mechanical Engineering with an emphasis on design. In his spare time, his hobbies transform him into an avid gearhead, an open-source coder, an amateur cyclist, a jazz musician, a seasoned traveler, and a storied photographer. Lawrence “Larry” Burns is a mobility visionary and technical expert who previously served as General Motors’ Corporate Vice President for Research & Development and Planning. 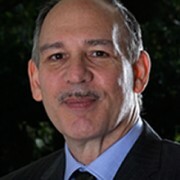 He is a member of the U.S. National Academy of Engineering and the ITS America Hall of Fame and is a co-author of Reinventing the Automobile: Personal Urban Mobility for the 21st Century. Mr. Kizilbash is Vice President – Schlumberger Venture Fund for Schlumberger Limited. He has held senior management positions in Schlumberger as Vice President and Group Treasurer, Schlumberger Limited Financial Controller, President Reservoir Characterization Group, President of Middle East & Asia and President of Drilling and Measurements before assuming his current position in 2017. 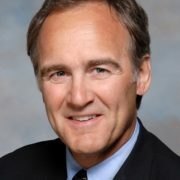 Mr. Lydon is the Managing Director at Intel Capital where he leads investments for Intel’s Internet of Things Group and manages Intel’s Connected Car Fund. Before founding Band of Angels and True Global Ventures Mr. Arnold was the Founder, CEO of Datalogix (IPO) and Founder CEO of Formation Systems (acquired by Infor). Chris is a world-renowned expert in vehicle dynamics and safety, and previously served as Peloton’s Principal Scientist. He is a Professor of Mechanical Engineering and, by courtesy, of Aeronautics and Astronautics at Stanford University. He is also the founding director of the Center for Automotive Research and has developed several pioneering automated vehicles, including Shelley, the autonomous Audi TTS, which famously climbed Pikes Peak. Chris’ work blends the rigor of safety-critical systems with the need to work well with the human driver. From February 2016 to January 2017, Chris served as the U.S. Department of Transportation’s first Chief Innovation Officer, where he worked with Secretary Anthony Foxx to support transportation innovation taking place both inside and outside the government. 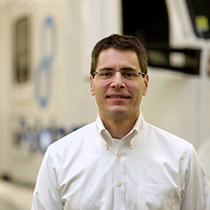 Prior to joining Stanford, Chris was the project leader for vehicle dynamics at the Daimler-Benz Research and Technology Center, based at Freightliner trucks. Chris holds a BSME, BSEcon, and MSE from UPenn and a Ph.D. from UC Berkeley.